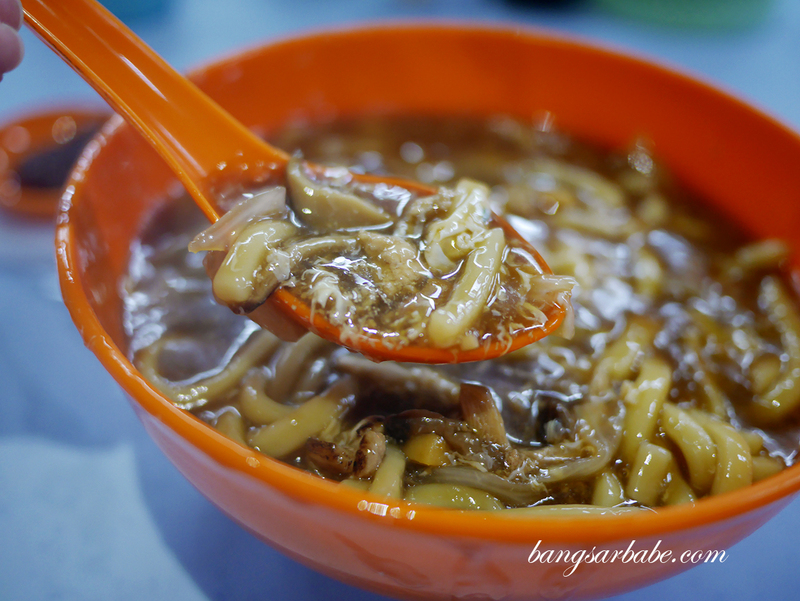 Mention pan mee and one will tend to assume it comes in the form of soup (spicy sometimes) or dry style (dark sauce or with chilli paste). 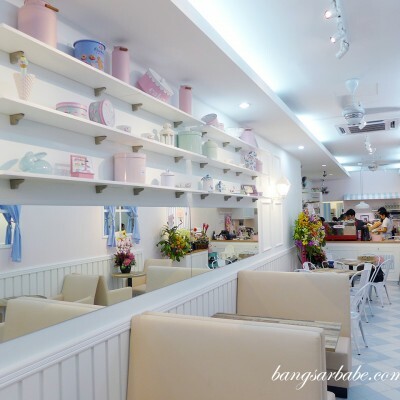 Fried pan mee isn’t very common but rif and I recently tried it for ourselves, at this place called Big Tree Fried Pan Mee, just off Old Klang Road. 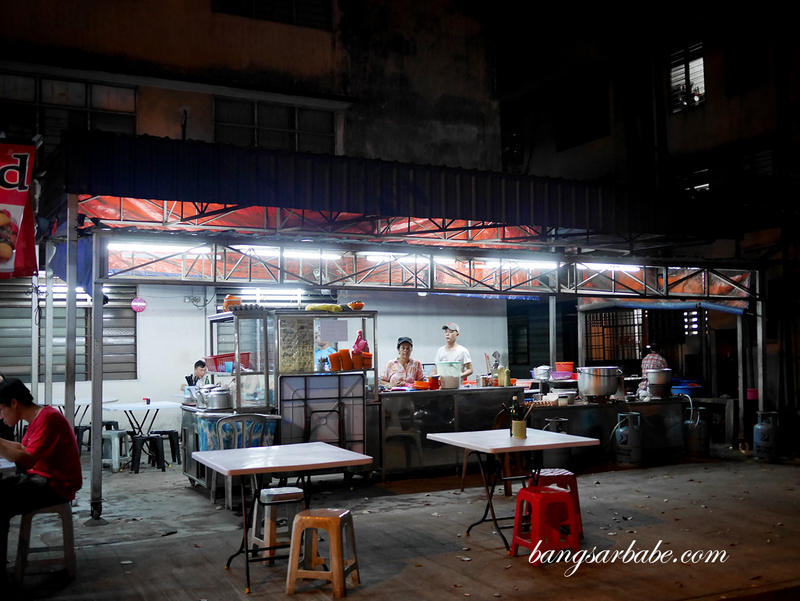 The stall has been around for quite some time and customers would wait patiently for their plate of pan mee, despite the humid weather. 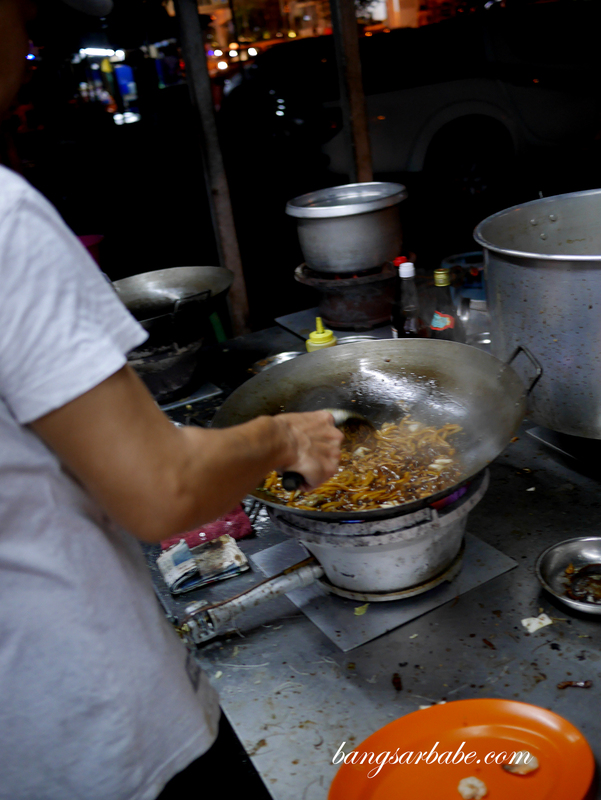 I thought the pan mee was quite good – similar to Hokkien mee but instead of yellow noodles, pan mee is used. 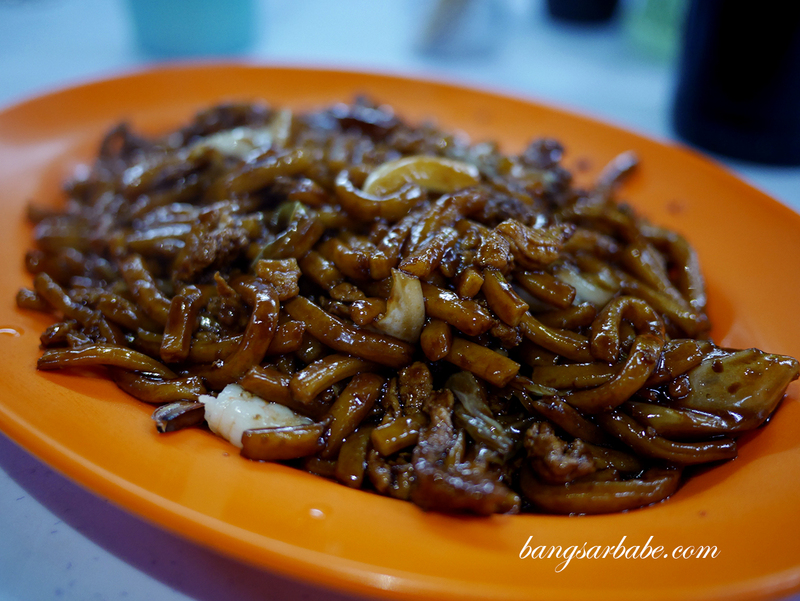 This has no alkaline taste or smell, which is a common thing in Hokkien Mee. Texture-wise, I would have preferred the noodles to be springy but this was slightly on the softer side. 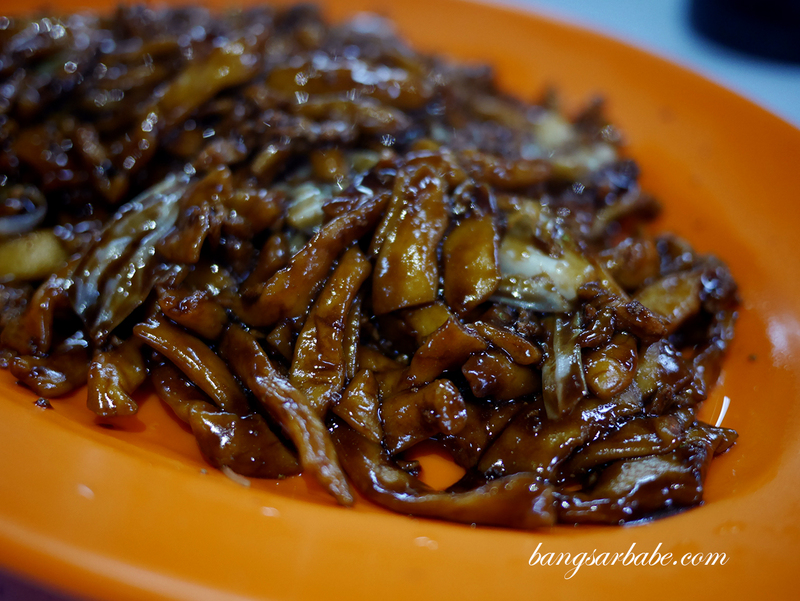 The loh mee is pretty decent here; darker and stronger in flavour. 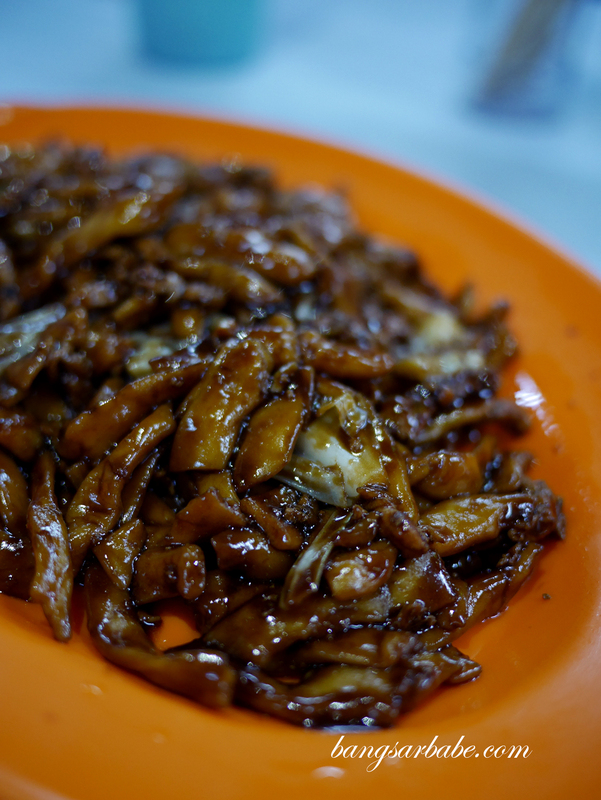 It’s also slightly different compared to the regular loh mee one gets elsewhere; this one comes with slices of black mushroom for a meaty texture. I liked that the stock was flavourful enough to hold its own, so a bit of vinegar was all this dish needed to kick things up a notch. 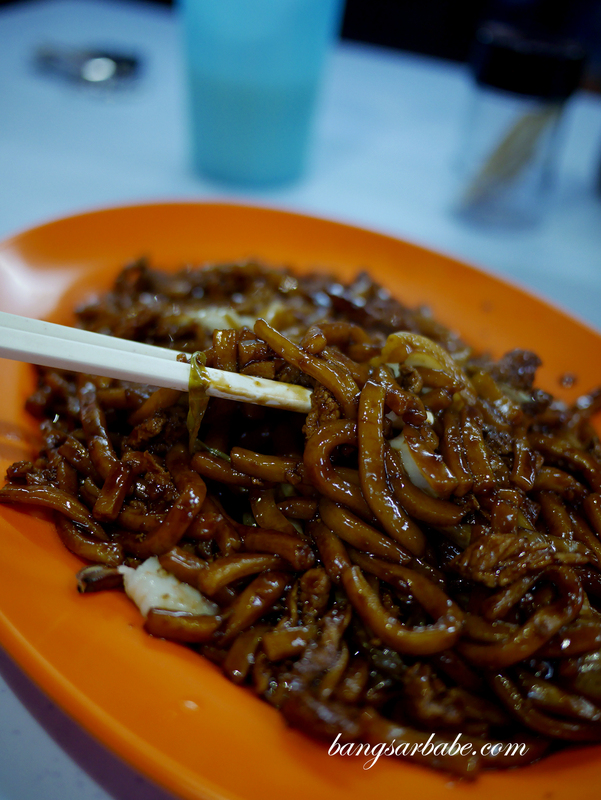 We also tried the Hokkien Mee which was very average. 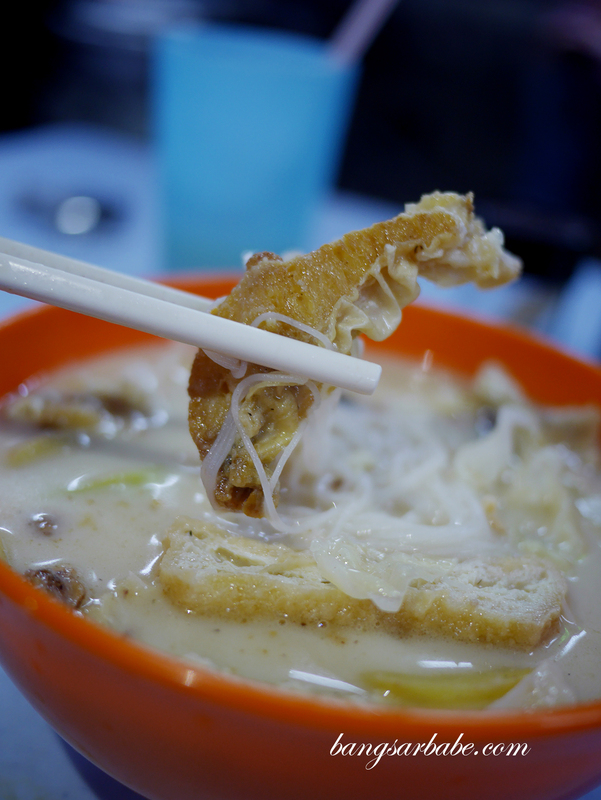 Unlike the pan mee, this dish was missing “wok hei” and the flavours didn’t seem to bind together quite as nicely. Eating this with sambal chili helps but that’s not quite the point I feel. One good thing though — they are quite generous with pork lard so you’ll get plenty of crunchy bits to go with your noodles. 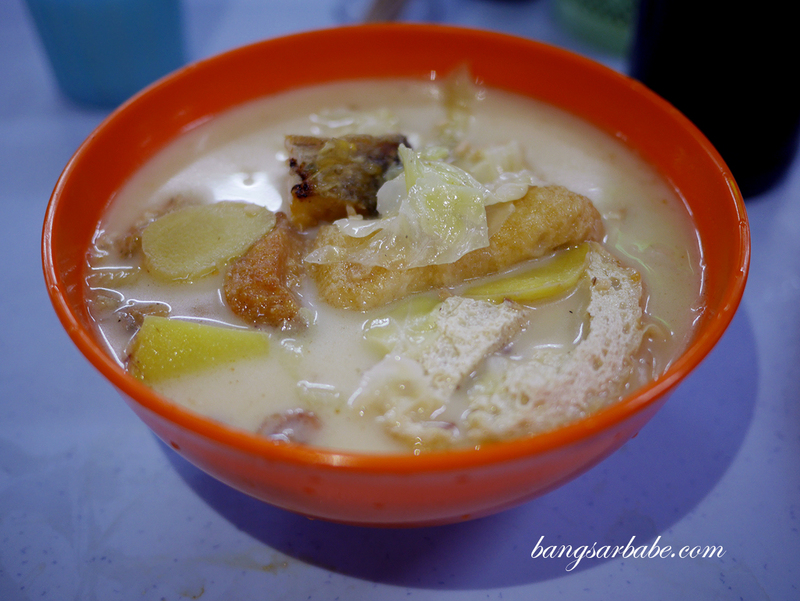 Fish head noodles is also available and the preparation for this is quite different from many places I know. 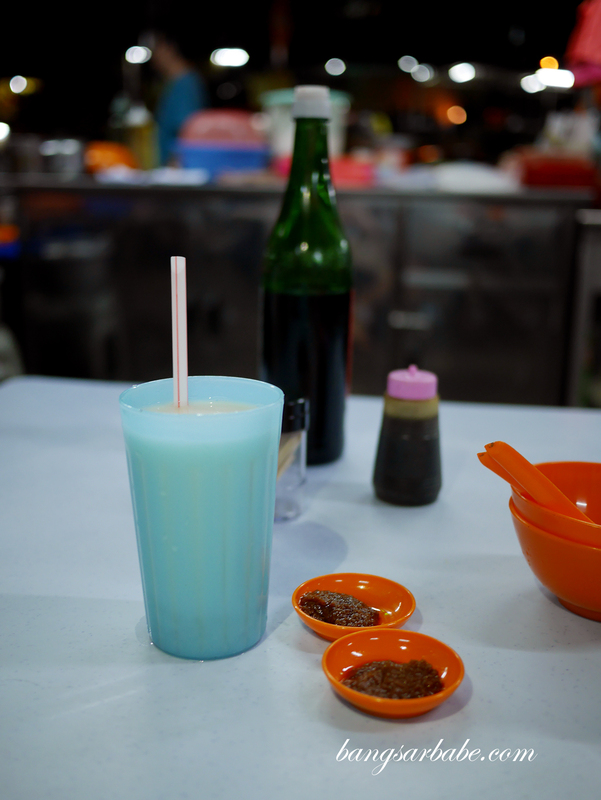 It’s milky but minus the tangy-savoury accents you usually get from tomatoes and pickled vegetables. I didn’t care much for this, though I spotted quite a few people ordering it. 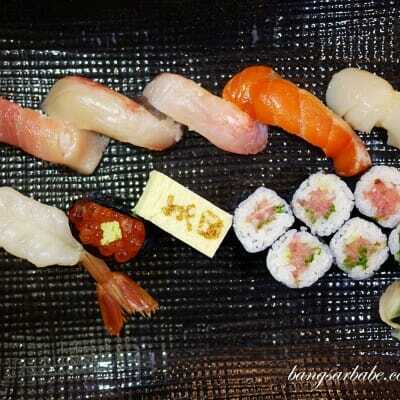 All in, I found the food just alright though pricing is reasonable (RM6 per portion). 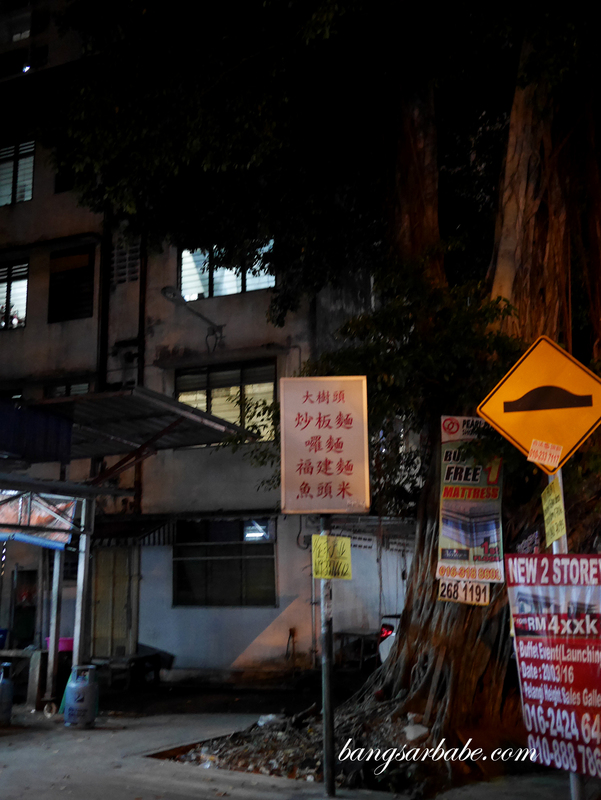 While the pan mee and loh mee were not bad, they weren’t spectacular either. 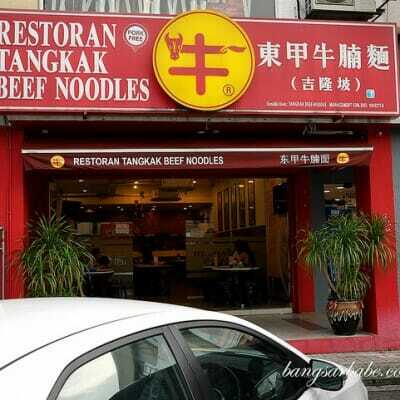 I wouldn’t recommend the fish head noodles and Hokkien Mee as you can get better ones here and here. 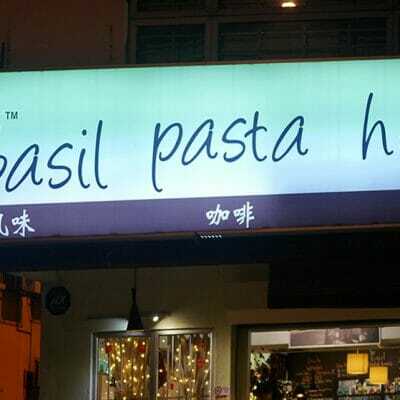 Verdict: Apart from the pan mee and loh mee, the others failed to impress.